Other Products by EHP Labs. Search other Amino Acids products. 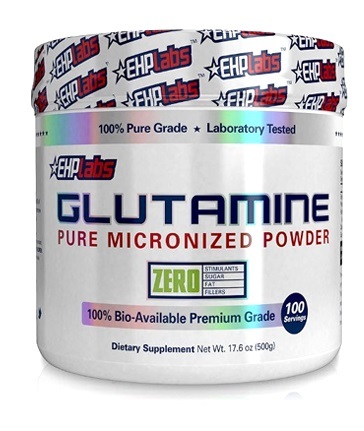 L-Glutamine is the most abundant amino acid found in muscle tissue and can be referred to as a "conditionally" essential amino acid depending on circumstances. Athletes and sports people may need to consume additional Glutamine as a dietary supplement as this amino acid is depleted during intense physical activity. If your are not taking in enough glutamine your body will automatically take it from the immune systemn and gut to feed the muscles where it is needed. This is the reason some endurance athletes fall prey to over-training syndrome and recurrent infections. Take 1 - 2 scoops with 295ml of water. Do not exceed 3 scoops per day.